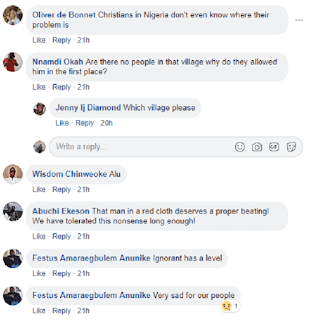 A priest has sparked outrage after he cut down a very old tree in Warri, Delta State allegedly because the tree was hindering people’s progress. According to reports, the priest decided to cut down the tree which has been standing for decades – because “it was hindering the progress” of a family and also saw their “destinies buried”. 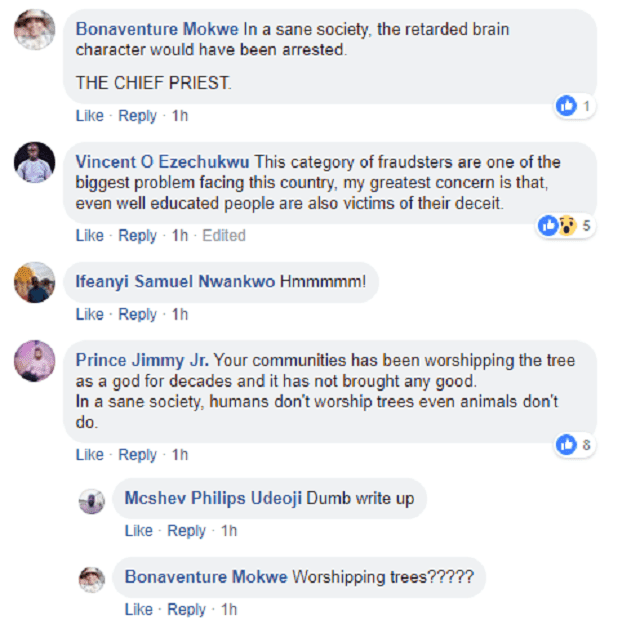 During a deliverance session, the priest who hails from Rivers state had the tree cut down and a photo which shows him proudly standing over the tree has gone viral. 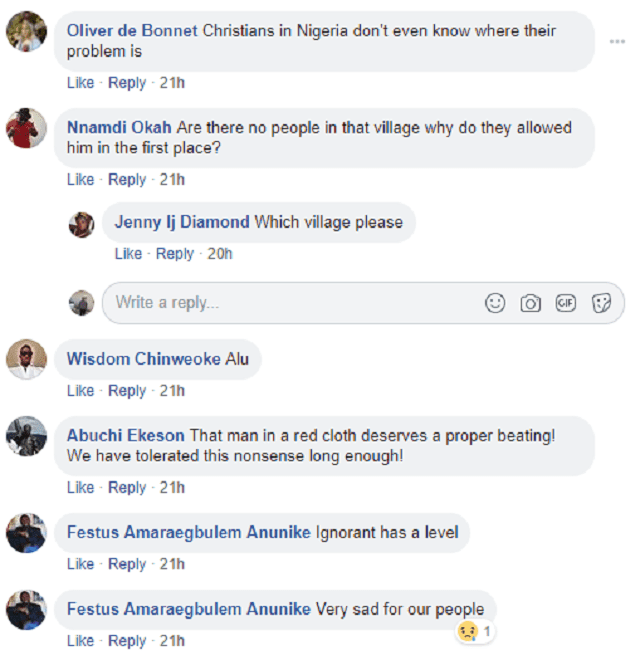 Some Nigerians condemned his act, saying it’s terrorism against nature. Some suggested the pastor deserved a thorough beating. What do you think?